With the arrival of spring, I am sure some of you have already started to prepare themselves for the summer. 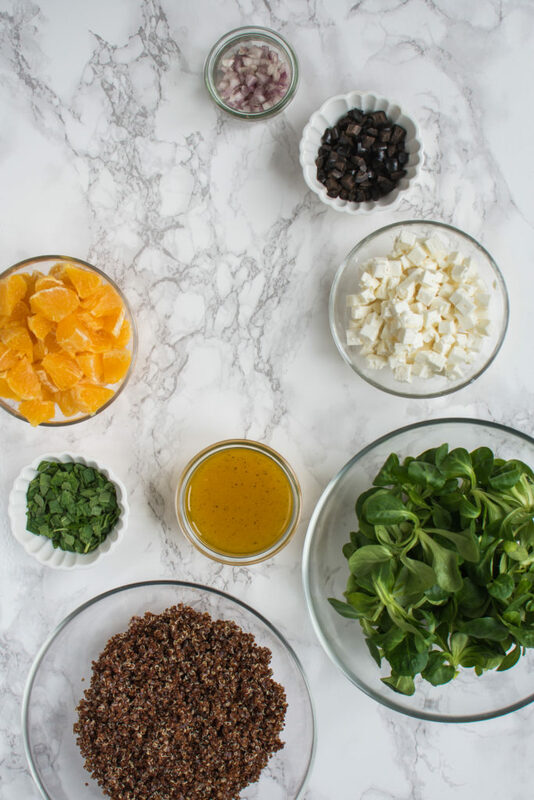 And so this recipe for a healthy and fresh salad full of flavors may come in hand! 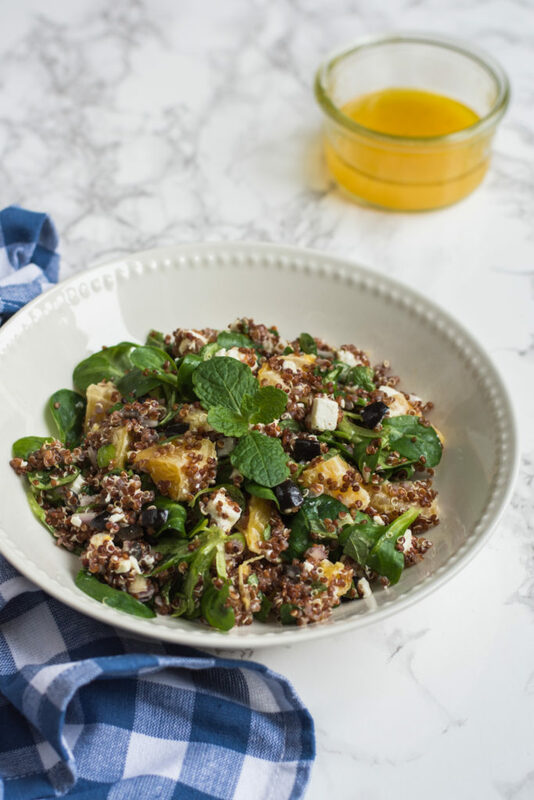 I love quinoa salads in general as they are very healthy and full of proteins and therefore, you don’t need to stuff yourself with bread as the quinoa will keep you away from being hungry in the next hours. 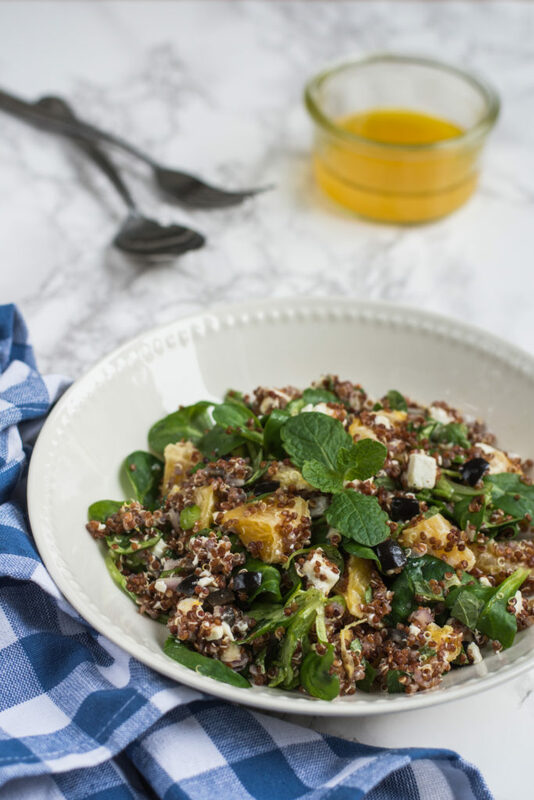 I have been making this quinoa salad with oranges, Feta and mint for some time already and don’t remember where exactly I got the original recipe. But here is my version of it and I hope you will enjoy it. If you make it, please let me know how it turned out via the below comments! Prepare the quinoa according to the instructions on the package (put in a saucepan together with 3 times bigger volume of water, bring to boil and cook for 15 minutes until the water is absorbed. Set aside and allow to cool down. For the orange dressing, juice one orange and mix it with olive oil and add salt and pepper to taste. Peel the two remaining oranges and cut each into small chunks. Chop the shallot. 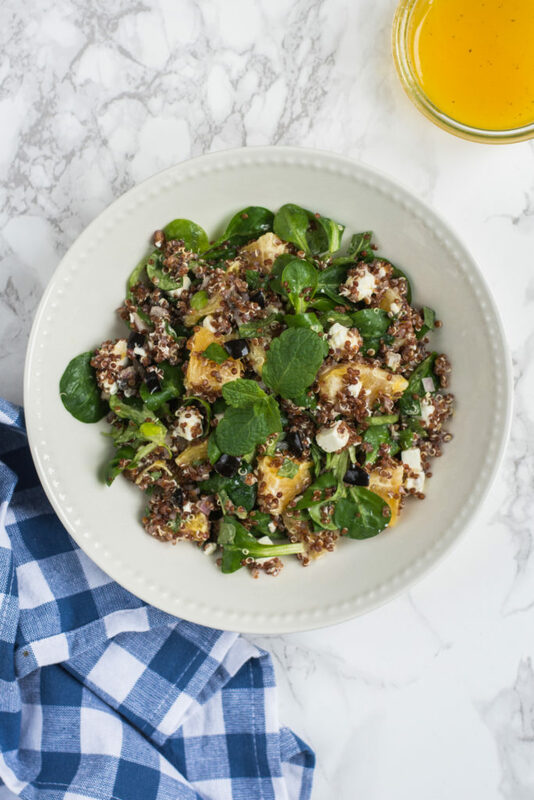 Cut Feta cheese and black olives into small pieces. 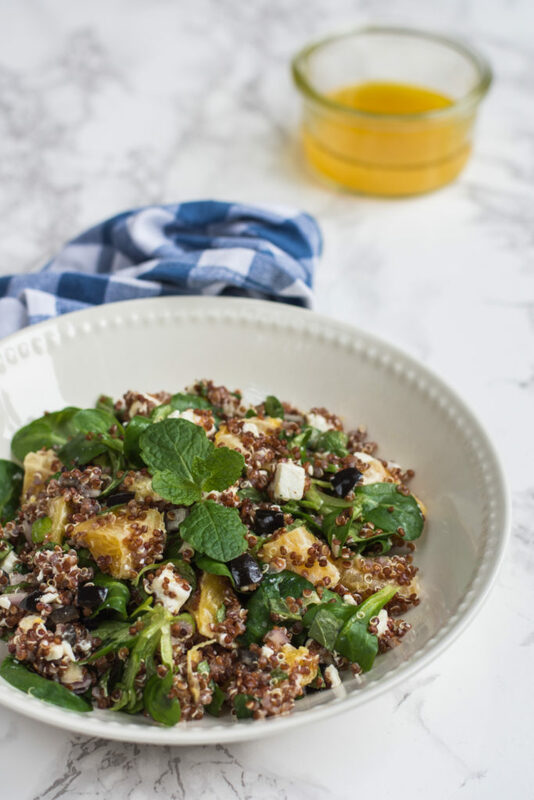 In a large salad bowl, mix the quinoa with corn salad, oranges, shallot, feta, black olives, salad, and mint. Season with orange dressing and serve.